In earliest times, basic forms of psychology were practiced by priests, shamans, wizards, seers, medicine men, sorcerers, and enchanters, all of whom offered some blend of magic, religion, and herbal remedies to ease the physical and mental suffering of their patients. These early efforts evolved into the current fields of medicine, religion, and psychology, with a residual overlap of influence among the three. 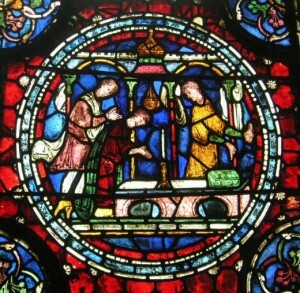 The Middle Ages has had a poor reputation among twentieth-century psychologists. Edwin Boring, in A History of Experimental Psychology (New York, 1929), held that late medieval thinking was based largely on theology and hence tended to be opposed to science. Gregory Zilboorg, in his History of Medical Psychology (New York, 1941), claimed that medieval medical practitioners were afraid to look into either normal or abnormal psychology and that the mentally ill were frequently regarded either as possessed by a devil or as witches. Introductory texts have occasionally taken this argument several stages further, claiming that the mentally ill in the Middle Ages were liable to be tortured or burnt at the stake as a consequence of the belief that they were possessed by a devil. Historians of psychology in the later twentieth century did not substantiate claims that the mentally ill were routinely treated with cruelty in the Middle Ages. Moreover, they generally took a more sympathetic view of the period, finding that medieval philosophers, physicians, and even theologians produced and debated interesting theories of human behavior, although they seem to have done little to test them experimentally. The Renaissance revived interest in individual personality, setting the stage for the emergence of psychology in the seventeenth century. 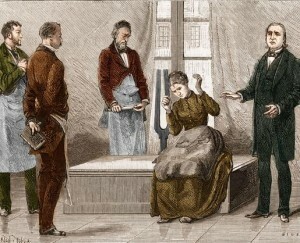 Subsequently, psychology became socially important in the eighteenth century, and became a science in the nineteenth century. The history of the word psychology reflected this development. Although its etymological roots are Greek, psuche (“soul”) + logos (“word”) = psychology, it appeared fitfully beginning in the 1600s, and gained general currency only in the nineteenth century. Instead, people wrote about a “science of human nature.” or “mental” or “moral” science. Moreover, psychology was one of several human sciences that appeared in the five centuries after 1400, but it took many years for them to assume their modern forms. For a long time, a student of human nature was equally psychologist, sociologist, anthropologist, economist, and political scientist. World War I brought the nineteenth century, and nineteenth-century psychology, to an end. The unspeakable horrors of the war shattered nineteenth-century faith in the inevitability of progress. To many, the war was the Freudian unconscious made manifest. Germany especially experienced a deep crisis in politics, culture, and philosophy, and psychologists offered worldviews to replace those that had failed. 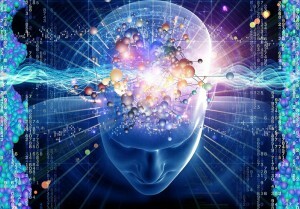 For example, Gestalt psychology and its philosophical ally, phenomenology, proposed a new holistic analysis of consciousness meant to support old humanistic values. Everywhere during the war, psychology turned in applied directions, as psychologists worked on varied military projects. This trend was most powerful in the United States, where applied psychology was already valued. After the war, the numbers of American applied psychologists grew exponentially, creating powerful tensions between academic scientists and working professionals. In 1913, just before the war broke out, John B. Watson launched the movement of behaviorism, which would dominate twentieth-century American psychology. Increasingly, psychological ideas affected how people understood themselves, others, and their societies. By 1918, what had begun as an obscure science pursued by small bands of men and women was emerging as the foundation of a new, psychological, society. In the early 1900s American psychology was still a modestly sized enterprise, but it was in a propitious position to advance, for it had a rich and diverse cache of intellectual ideas about mental life from which to draw that had been developed in the previous century. In addition, the young profession had ample room to locate in the ongoing expansion of colleges and universities, and could make contact with an engaging public interested in things “psychological.” Psychology did prosper within this climate. By the end of World War II the science had secured an influential place in American society and had created a host of subspecialties applicable to a myriad of intellectual and social problems. Thus, in less than half a century psychology had expanded rapidly in terms of scientific work, scope of subject matter, and practical utility. However, while increasing in number of practitioners and domains, the science drastically reduced the eclectic intellectual perspectives and methods that had been present at the century’s beginning. The intervening years, then, comprised first a flourishing followed by a diminuation of the scientific possibilities for explaining and examining the human psyche and actions. Psychology in the pre-World War II era was on the threshold of becoming both a major academic discipline and an applied profession. It had some unresolved problems, particularly involving mind-body issues, but in the main the academic wing of psychology had adopted British empiricism as its philosophy and was therefore behavioristic in orientation. The professional wing had been struggling to achieve its unique identity. We will survey the post-World War II era in terms of these academic and professional developments. Our focus is on the United States, which was actually the leader in psychological studies before the war. It may appear, given our overview glance at psychology since World War II, that we have here a discipline in serious difficulty. It must confront other specialties like biology and computer science which threaten to explain it away. There is a seemingly unbridgeable split between its basic science and applied wings. Critics dismiss it as not being a legitimate science to begin with, and at the very least find that it has no business seeking to apply its “unsatisfactorily” established principles. Even some of psychology’s advocates want its academic home shifted over from the sciences to the humanities. There are unsettled internal questions concerning its concepts, especially regarding whether human beings are purposive organisms or robots. Its therapies are under fire as supposedly ineffective. And its gender recruiting is increasingly one-sided, which can bias its developmental direction. Indeed, psychology’s very popularity in the broader culture may dilute its potential to be a focused discipline. How one interprets these issues will obviously influence any conclusion regarding the future of psychology. We can frame them with hopeful optimism or dour pessimism. There are surely challenges ahead for this discipline, but pessimism hardly seems warranted. It is probably more reasonable to view these challenges as reflecting the inevitable growing pains of a vibrant and much needed realm of knowledge in human affairs. Growing pains are rarely fatal and usually overcome. 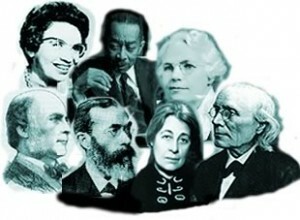 There is every indication that psychology will be successful in this regard and thereby continue to make a unique and important contribution to knowledge in the twenty-first century. As the old millennium closed, there was a shift from behavioral perspectives in psychology to cognitive perspectives—that is, a shift from a strict reliance on empirical sources for knowledge to an acceptance of rationality as a source for knowledge. In the first decade of the new millennium, psychology is taking on another new look, or perhaps it is simply returning to whence it came. Psychology, and in fact all of society, is embracing spirituality, accepting faith as a once-again legitimate source of knowledge. The media is awash with words such as intuition and faith (Malcolm Gladwell’s book Blink, a best seller, attests to the popularity of intuitive thinking), thus reminding us of this acceptance of non-empirical sources of knowledge. Advances in information technology, such as the Internet and the 24-hour news networks, have made psychology in all of its forms accessible to everyone. This increased globalization of psychology is mirrored in the most recent edition of the DSM, which now acknowledges that mental health practitioners should be aware of cultural issues when diagnosing and treating mental illness. 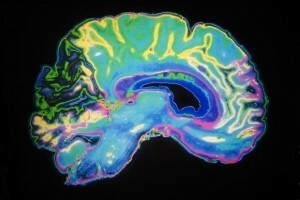 Read more about Psychology in The 21st Century. In the fast-paced world of the late 20th and early 21st centuries, in which economic decisions are made based on the “bottom line,” it seems inevitable (i.e., the zeitgeist is right) that Francis Bacon’s (1620) notions at the beginning of the scientific revolution should come full circle. “Human knowledge and human power meet in one; for where the cause is not known the effect cannot be produced.” All fields of science, in order to continue to exist, must provide useful information. As seen in the mission statement of the APA, “The objects of the American Psychological Association shall be to advance psychology as a science and profession and as a means of promoting health, education, and human welfare.” Perhaps psychology is finally starting to grow up enough to prove its usefulness. In July 1892 well-known Clark University psychologist G. Stanley Hall met with a small group of his peers and founded the American Psychological Association (APA). At their first official meeting the following December, 31 additional members were voted in; all were white, and all were male (see Fernberger, 1932). However, as psychology grew throughout the first half of the 20th century, the proportion of women in the field increased. In 1946, psychologist Alice Bryan and her colleague Edwin Boring conducted a survey of American psychology and found that of the 2,672 doctoral-level psychologists who responded to their survey, 24 percent were women (Bryan & Boring, 1946). 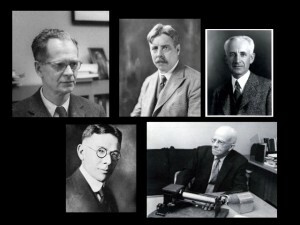 At this point in history, very little attention was paid to the representation of non-white psychologists in the field. Every day, psychologists make history. It can be in an act as small as sending an e-mail or as large as winning a Nobel Prize. What remains of these acts and the contexts in which they occur are the data of history. When transformed by historians of psychology to produce narrative, these data represent our best attempts to make meaning of our science and profession. 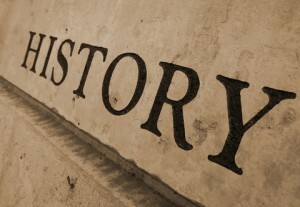 The meaning that is derived from the data of history is most often made available to students of psychology through a course in the history of psychology. For a variety of reasons, the history of psychology has maintained a strong presence in the psychology curriculum at both the undergraduate and graduate levels for as long as there has been a psychology curriculum in America (Fuchs & Viney, 2002; Hilgard, Leary, & McGuire, 1991). As a result, most students will have some exposure to the subject matter and some sense of its importance. Why are psychologists so interested in their own history? In trying to answer this question, consider the following quotations from two eminent British historians. One, Robin Collingwood (1946), wrote that the “proper object of historical study… is the human mind, or more properly the activities of the human mind” (p. 215). And the other, Edward H. Carr (1961), proposed that “the historian is not really interested in the unique, but what is general in the unique” and that “the study of history is a study of causes… the historian… continuously asks the question: Why?” (pp. 80, 113). 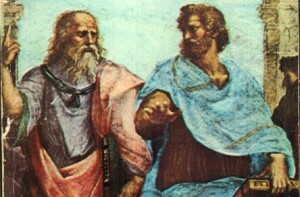 Thus, according to these historians, to study history is to study the human mind, to be able to generalize beyond the characteristics of a single individual or single event to other individuals and other events, and to be able to answer the “why” of human behavior in terms of motivation, personality, past experience, expectations, and so forth. Historians are not satisfied, for example, with a mere description of the events of May 4, 1970, in which National Guard troops killed four unarmed students on a college campus in Ohio. Description is useful, but it is not the scholarly end product that is sought. By itself, description is unlikely to answer the questions that historians want to answer. They want to understand an event, like the shootings at Kent State University, so completely that they can explain why it happened. Collingwood (1946) has described history as “the science of human nature” (p. 206). In defining history in that way, Collingwood has usurped psychology’s definition for itself. One can certainly argue about the scientific nature of history and thus his use of the term science in his definition. Whereas historians do not do experimental work, they are engaged in empirical work, and they approach their questions in much the same way that psychologists do, by generating hypotheses and then seeking evidence that will confirm or disconfirm those hypotheses. Thus the intellectual pursuits of the historian and the psychologist are not really very different. And so as psychologists or students of psychology, we are not moving very far from our own field of interest when we study the history of psychology. Historians of psychology seek to understand the development of the discipline by examining the confluence of people, places, and events within larger social, economic, and political contexts. Over the last forty years the history of psychology has become a recognized area of research and scholarship in psychology. Improvements in the tools, methods, and training of historians of psychology have created a substantial body of research that contributes to conversations about our shared past, the meaning of our present divergence, and the promise of our future. 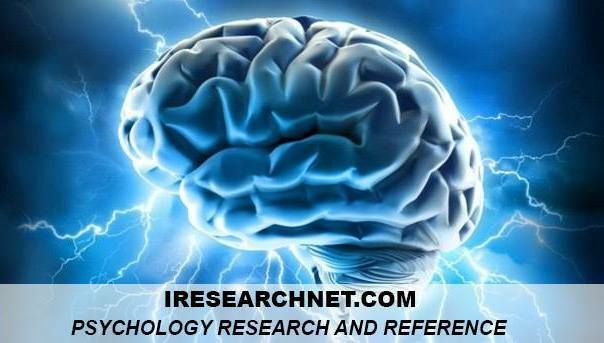 In this research paper you will learn about the theory and practice of research on the history of psychology.